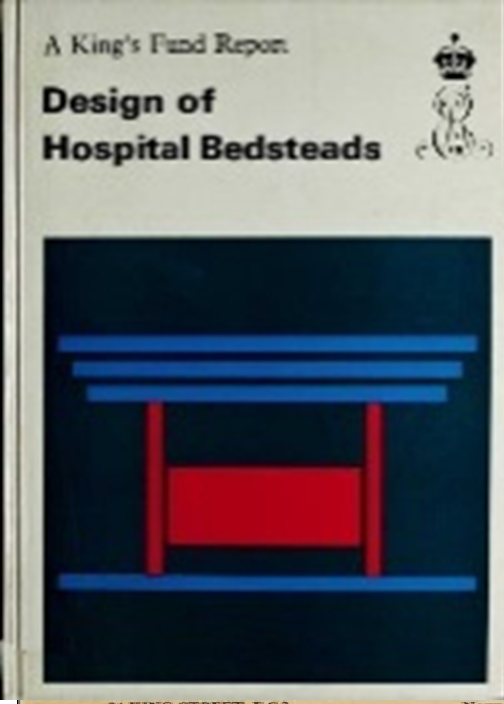 In 1967, this report, carried out by a King's Fund Working Party, looked at hospital bedsteads with a view to improving their design. The resulting specification, or ‘The King’s Fund bed’, produced a standardised design which was more comfortable for patients and easier for nurses to use. The new design used pedals to adjust the height, a reclining back-rest and could be moved about much more easily than previous, heavier designs. Following an early trial of 20 prototype beds at Chase Farm Hospital, The King’s Fund bed became widely used in hospitals in the UK and beyond.